I have signed up for two marathons this year. One in the month of October and another in the month of November. I am all excited, looking forward to both marathons as it will be my first experience in marathons. I am not sure if this is my new found hobby, but I seem to enjoy running in the park. Perhaps it is the company that comes with it. 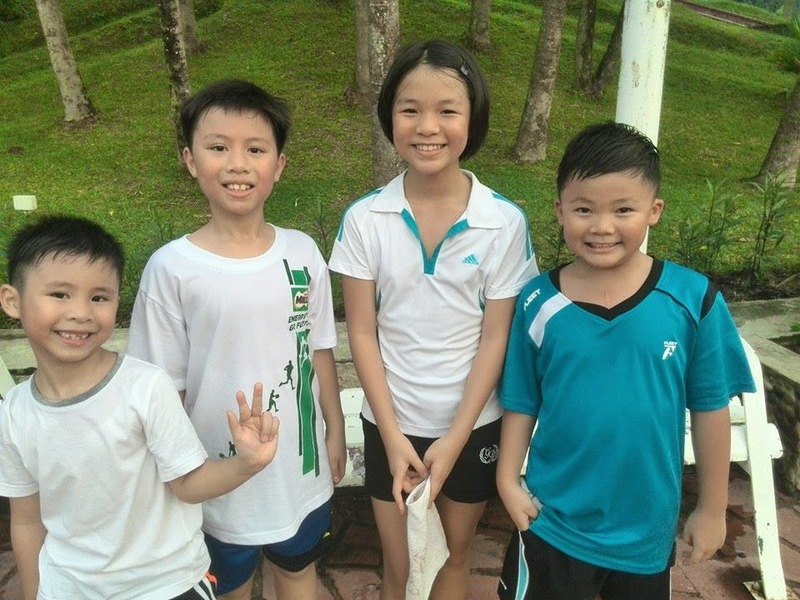 My cousins and I have been making appointments with one another every weekend for a run in the nearby park. We normally run two runs in the park, which covers slightly more than 2km in total. Do try running in the park. It gives a nice feeling, especially if you run in the evenings. The evening breeze is nice (except if it is hazy). Here is a picture of my cousins and Shaun Shaun TiTi. I am amazed that Shaun Shaun TiTi can run just as far. He is the youngest here....just 6 years old. Well done, Shaun Shaun!